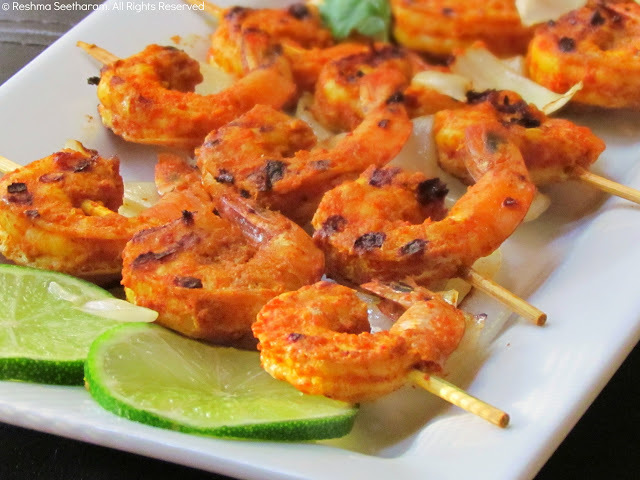 These sweet and spicy skewers will have your mouth watering for more. 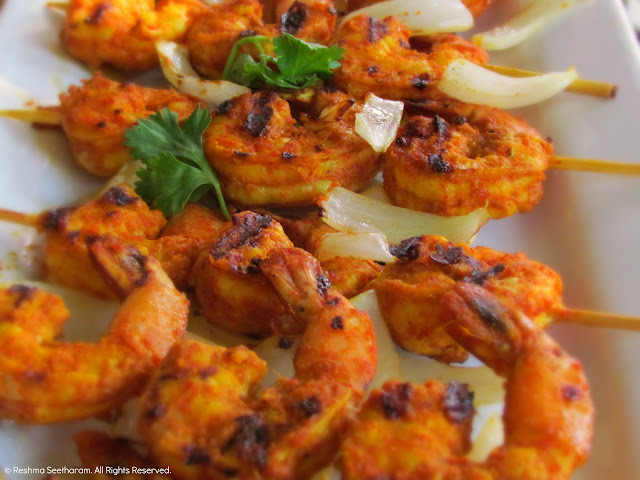 Cook them on an open grill, and there you have them, juicy, flavorful shrimp! In a blender, make a fine paste of the marinating ingredients. Massage it into the shrimp and let it chill for about an hour in a sealed plastic bag. If you can do this the previous night, it will taste great. Soak the bamboo skewers in water for about an hour before they are used. This prevents them from charring on the grill. 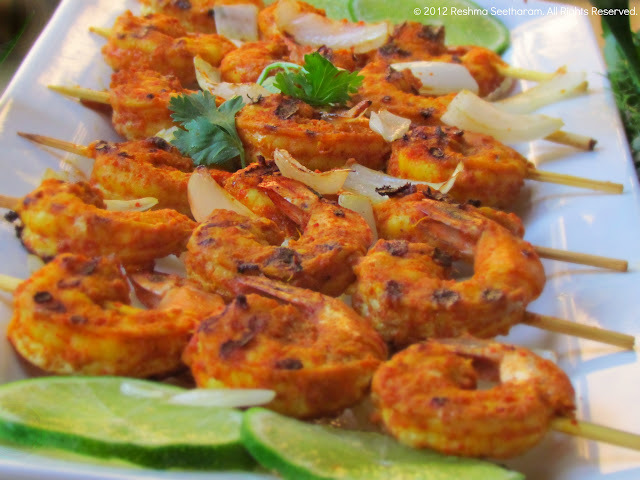 Poke the marinated shrimp into skewers. Brush some light cooking oil or spray some cooking oil on them. Place them on a medium heated open grill. Cooked them for about 4 minutes, and flip them over to the other side, glazing them with some more of the marinade. Cook them until they turn pink. You can squeeze some fresh lime juice on them before they are served. Place them on a bed of grilled onions and serve them hot. Enjoy!